During the busy days of school year-end commitments my son has been able to find some moments to unwind creating with his Lego. 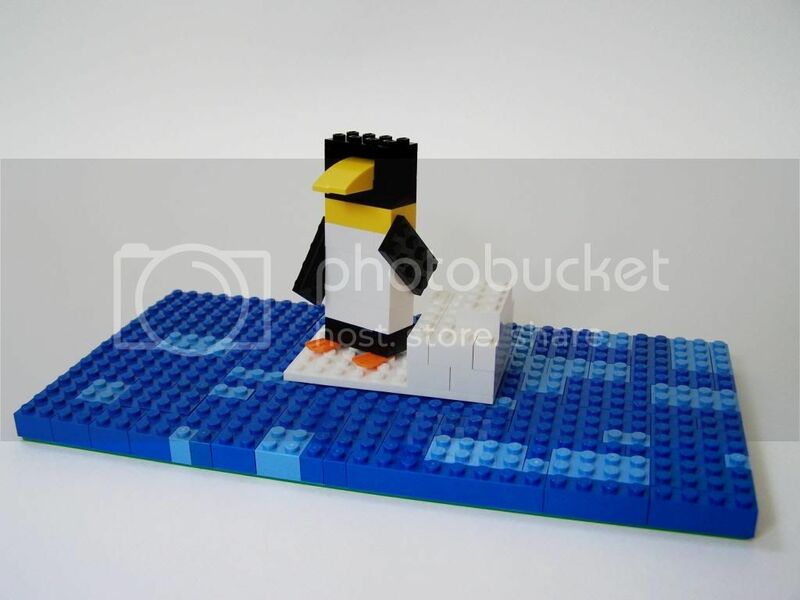 This is his "Emperor Penguin on an iceberg in the ocean". It's his own design made entirely with his own imagination. We prefer the basic Lego sets that leave the imagination open to the child. I do not allow the violent, angry-faced, weapon bearing Lego sets into their play. Who wants to play with a toy that always looks angry anyways? So many of the new sets are now about following a 100 step booklet, using a bunch of specially shaped blocks to end up with a toy that's exactly like all of your other friends who bought the same set. What happened to letting the child decide what the blocks are going to be today? Maybe they feel like taking a road trip to a big city to see the buildings, or to Antarctica to visit the penguins? Despite the changes, I still do think that Lego is a fun toy that can expand a child's imagination, but it saddens me that the Lego designers are the only ones playing imaginatively with the toy. How about you? Do you have Lego in your home and do you limit which sets your children play with? He is such a cool penguin! I agree with you I really love Lego and we are not limiting our kids on any sets at all.